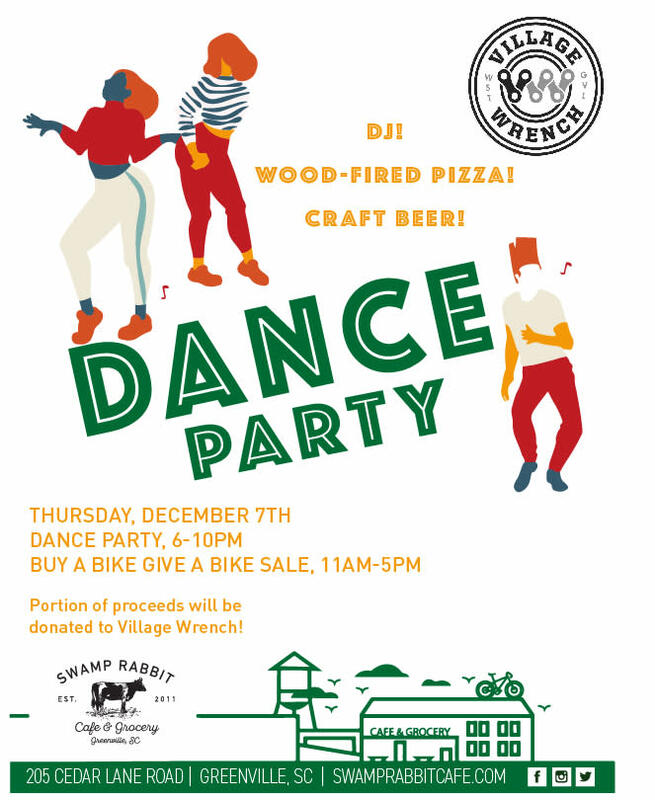 The Swamp Rabbit Cafe and Grocery will host non-profit organization the Village Wrench for a "Buy a Bike! Give a Bike!" sale and a celebratory dance party. From 11am-5pm Village Wrench will have bikes for tots to teens available for sale at the cafe. For every bike purchased, one will be donated to a child in need. From 6pm-10pm, there'll be a DJ, dancing, wood-fired pizza, and craft beer at the pizza container. 10% of event sales will be donated to Village Wrench.